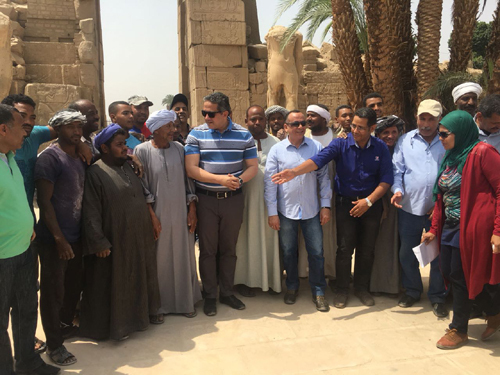 In recognition of both World Heritage Day and Social Solidarity Minister Ghada Wali's declaration of 2018 as the year of Egyptians with disabilities, Egypt's Antiquities Ministry on Friday announced that Karnak Temple would soon be accessible to the disabled. 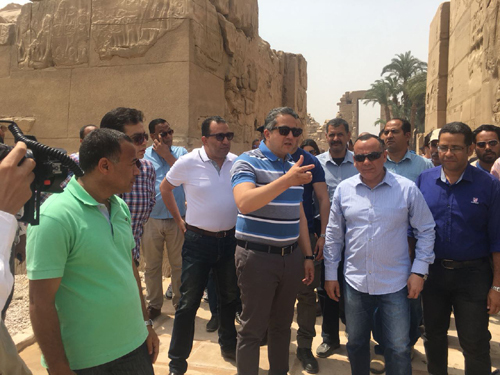 Antiquities Minister Khaled El-Enany and Luxor Governor Mohamed Badr toured around Karnak Temple and its southern axis in order to examine the latest work at the site. 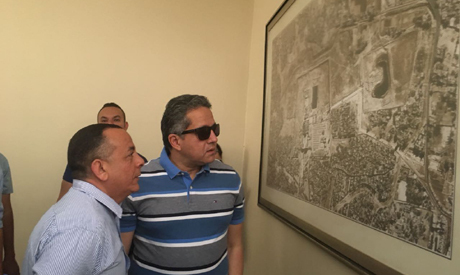 The visit was attend by Mostafa Waziri, Secretary General of Egypt's Supreme Council of Antiquities, top ministry officials, members of Egypt's Parliament and ambassadors of foreign countries to Cairo. 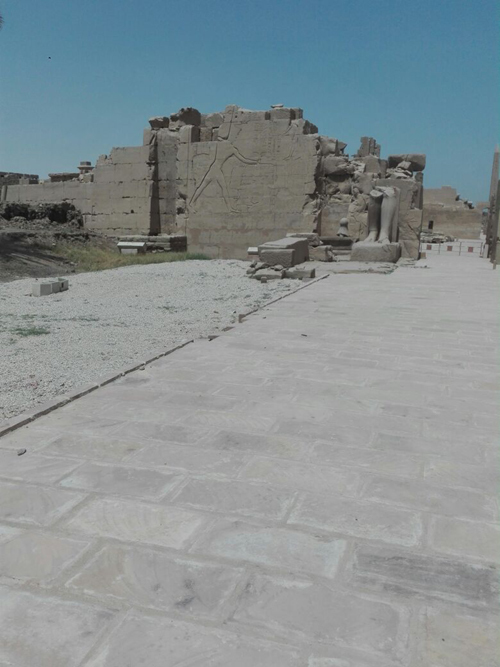 El-Enany told Ahram Online that special visitors' pathways were created throughout the temple to ease the visits of those with physical disabilities. Special signs for the disabled were also installed. The additions make Karnak Temple the first archaeological site in Egypt to be more friendly to those with special needs. The project was carried out in collaboration with an NGO named Helm (Dream), which advocates on behalf of disabled Egyptians. El-Enany also inspected ongoing work to link the temple's southern axis with the Avenue of Sphinxes. The southern axis runs north to south and extends from the courtyard of the Karnak cachette in front of the seventh pylon all the way to the 10th pylon. Waziri noted that this is the first opening of the southern axis to tourists. 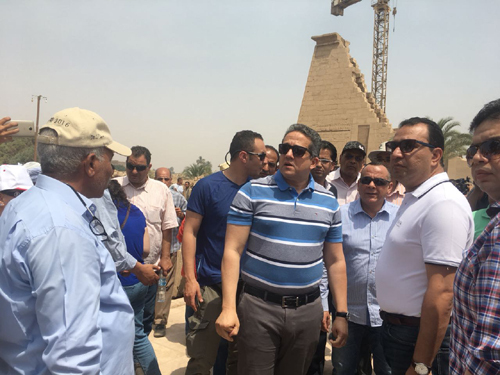 Mostafa Al-Sagueer, director of the Karnak Temple and the Avenue of Sphinxes development project, said that the project is in full swing in hopes of opening soon. He added that the ministry carried out the project in collaboration with the Engineering Authority of Egypt's armed forces. The Avenue of Sphinxes was one of the major thoroughfares in the ancient city of Thebes. At roughly 2,700 metres, it linkes the Karnak, Luxor and Mut Temples. Friday's celebration will extend into the night with an unveiling of the fifth colossus of King Ramses II in front of Luxor Temple's first pylon following the long-anticipated completion of the statue's restoration and reconstruction.